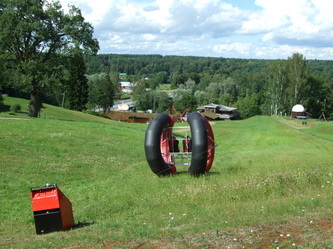 Crazy Roller - a new way of going downhill! 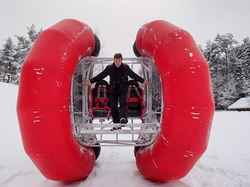 An unique innovative product for amusement and ski resorts industry! 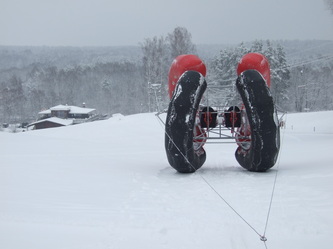 Invented and produced in European Union based on Marsian landing technology. November 2015 - Business trip to Iceland supported by Nordic - Baltic mobility program me "NB8 - Grants"
Norden - NB8 support (video). 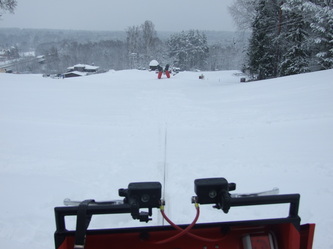 Experience of last two years in Tindastoll (video). Feeling crazy rolling the CrazyRoller (video). Icelandic CrazyRolling video (first two min) and relax in natural Hot Tub. 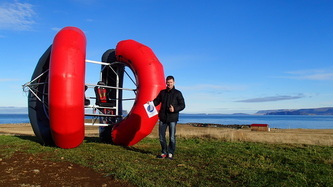 Thank you Viggó Jónsson (Director at Tindastoll ski area in Iceland)! August 2015 - Ventspils city festival at City Festival Parade. July 2015 - Business trip to Sweden and Norway supported by Nordic - Baltic mobility programme "NB8 - Grants"
May 2014 - Crazy Roller MTN installed in Latvia at "Tarzans"
January 2014 - Crazy Roller (Trakais Rotors Ltd.) is a Winner in the International Quality Award of the Year Competition 2013 among Micro Enterprises. 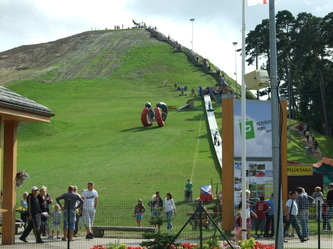 Participating countries were Finland, Latvia, Sweden, Czech Republic, Hungary and Estonia. 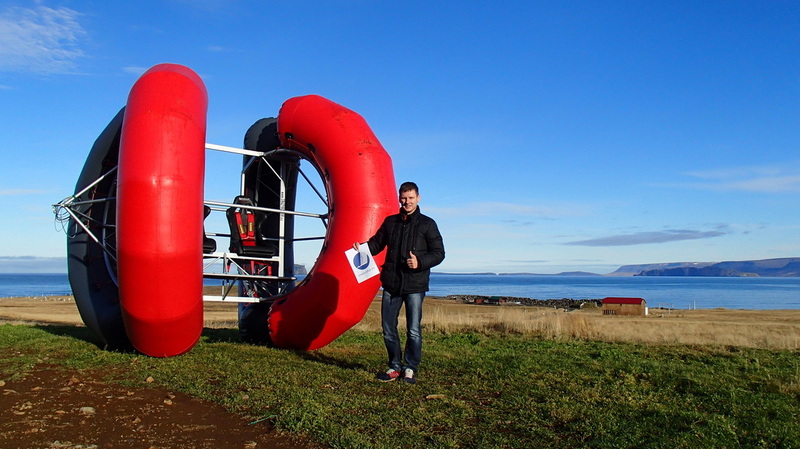 October 2013- Crazy Roller visits Iceland with the support from Nordic-Baltic programme for business and industry "NB8 - Grants". October 2013- 2nd Place award in the International exhibition of inventions MINOX 2013! 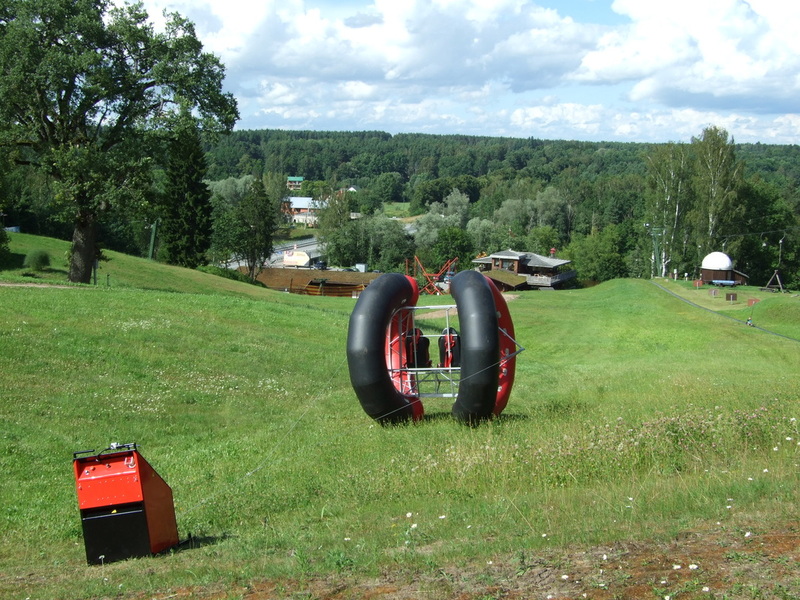 August 2013- Crazy Roller MTN installed in Lithuania. June 2013. 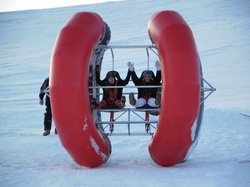 Crazy Roller MTN and H2O delivered to Iceland and installed! 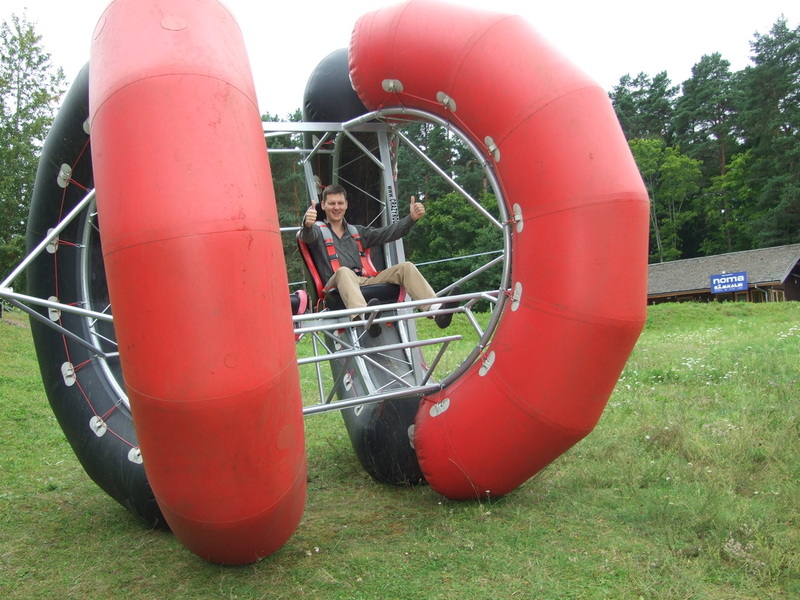 improved model with new Crazy Winch to controll up&down rolling! Rolling up and down the hill sitting in The Crazy Roller gives unforgettable feelings for users and additional revenue for ski resort and amusement park owners. 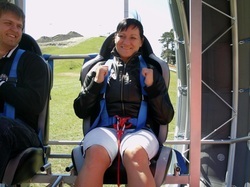 Earth-sky-earth.. wind.. sun.. nature... adrenaline & fun! Designed for ski sites and amusement parks to be used both in winter and summer. Everybody likes it - skiers, snowers, adults and especially kids. 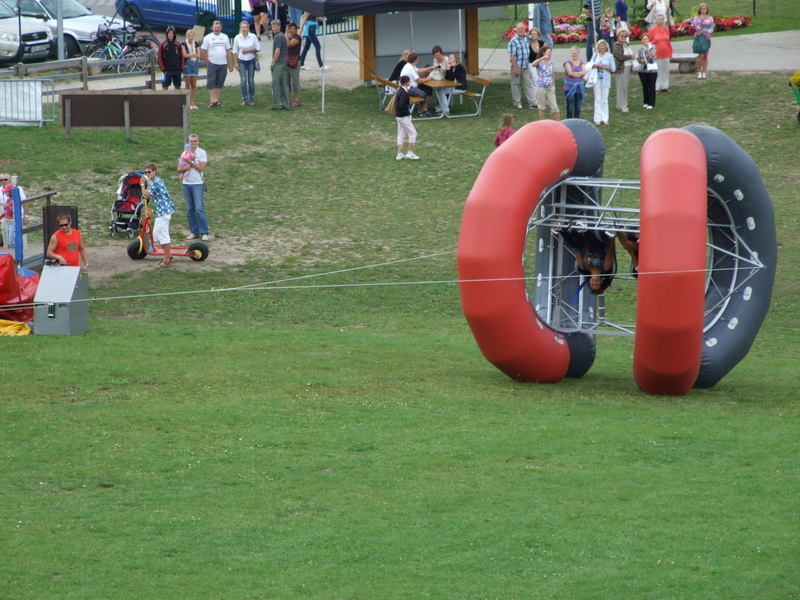 movement and the speed is controlled by our specially designed Crazy Winch. 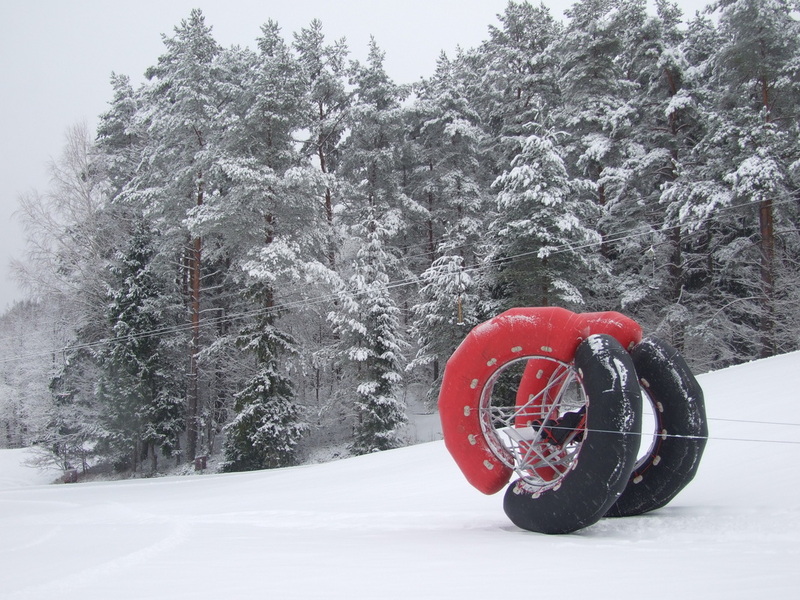 Crazy Roller is made of highly resitant materials according to quality standards, tested and continuously improved during more than 3 years of testing and development. 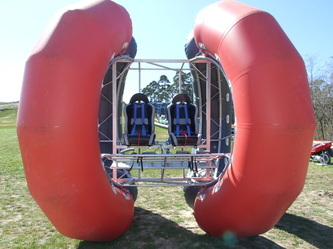 You want to roll in CRAZY ROLLER ? Please see Locations section of this webpage. You want to buy it? Please contact us.